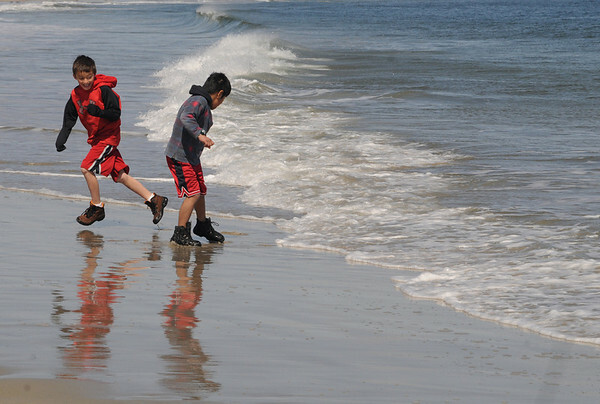 Ivan Demarjian,8, of Gloucester, left, and Michael Quill,8, of Essex, run from the incoming waves at Crane Beach. It was a free family fun day at Crane Beach on Monday. Besides the free admission, there were activities for all ages during the day.